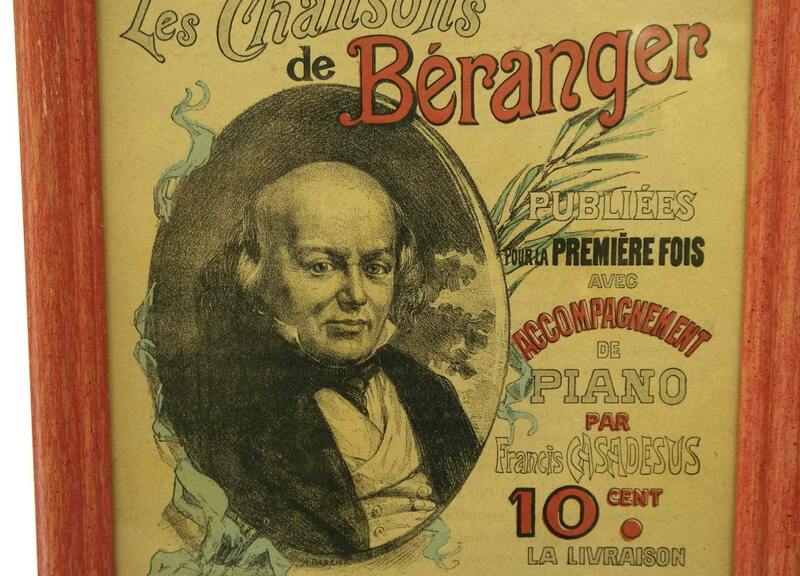 19th Century Framed Music Sheet Cover of Songs by Pierre-Jean de Béranger. 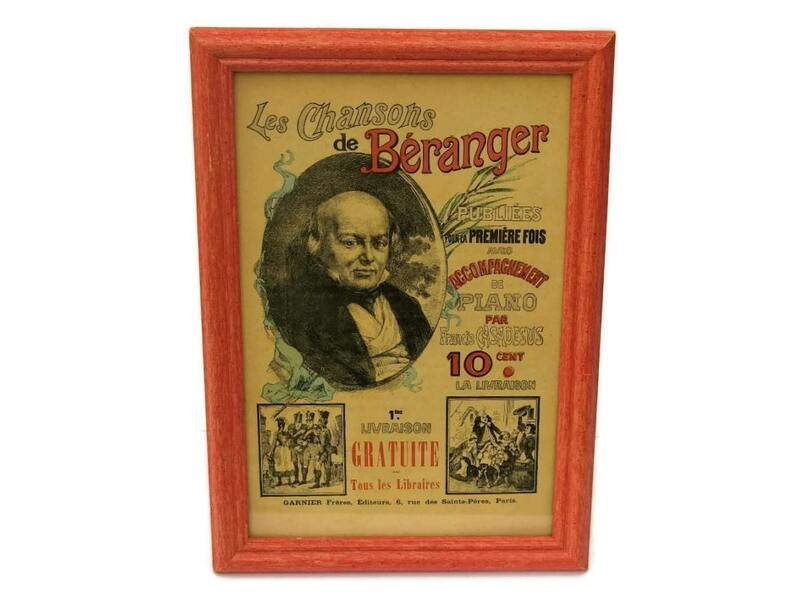 A framed antique French printed music sheet cover dating to the late 1800s. 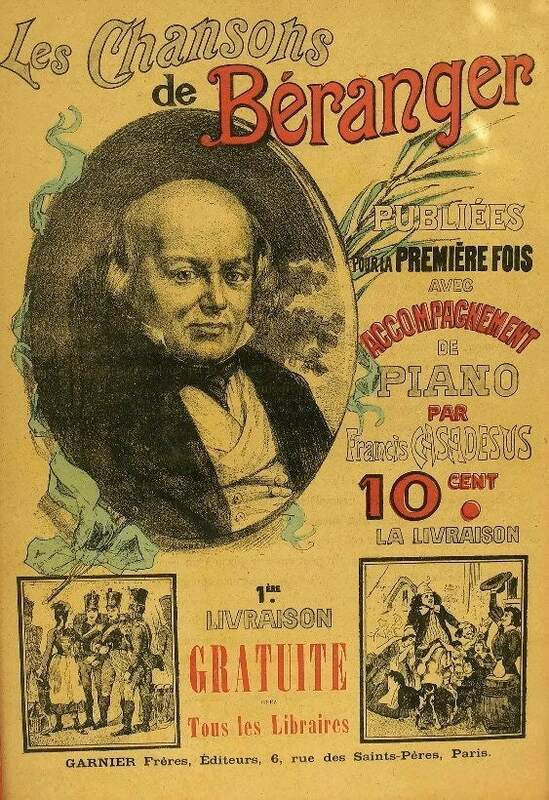 The print is from a selection of songs by the French poet and composer Pierre-Jean de Béranger. It has been printed in black with orange and blue highlights on newsprint paper. 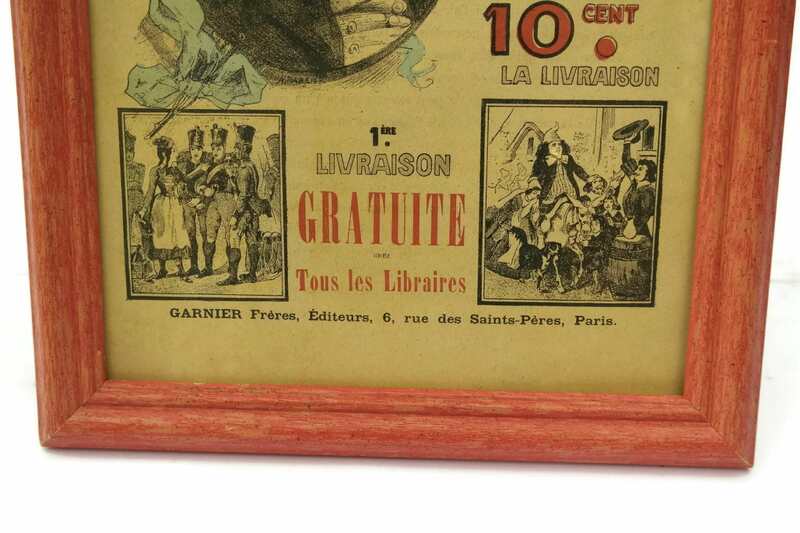 The print has been framed under glass in a contemporary orange-stained wooden frame. 9" wide x 13" tall. (23cm x 33cm). 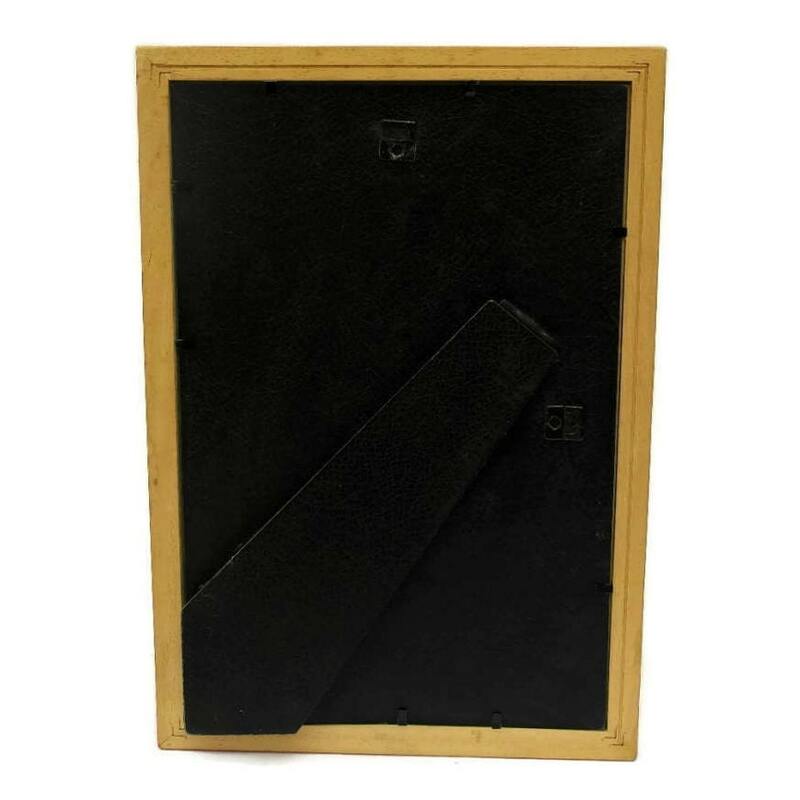 The antique print and frame are in good condition with light wear. The back of the frame has hanging hooks and an adjustable stand.